This underbar indicates that auto power off is activated. This prevents overloading on the motor and pump. When auto power off is activated, the underbar ‘_’ will appear at right bottom on the display while when it is deactivated ‘_’ will not appear. 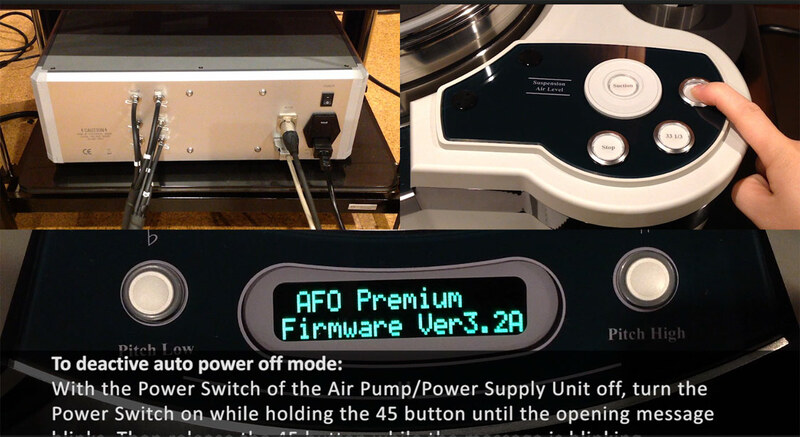 It is recommended to use your turntable with auto power off activated in order to prevent overloading on the motor and pump. – With the Power Switch of the Air Pump/Power Supply Unit off, turn the Power Switch on while holding the 45 button until the opening message blinks. Then release the 45 button while the message is blinking. – Repeat the above procedure once more, and it will be activated.